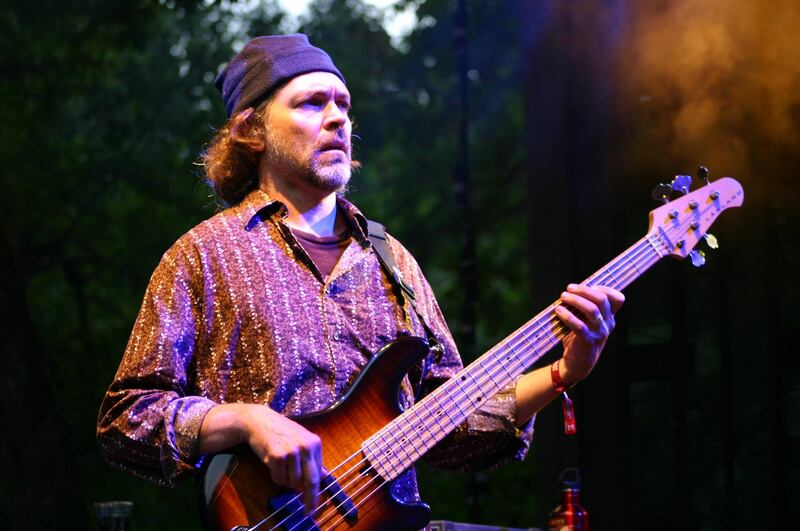 This is Dylan Muhlberg of Grateful Web joined by Keith Moseley, bass player of Colorado’s born and bred String Cheese Incident. 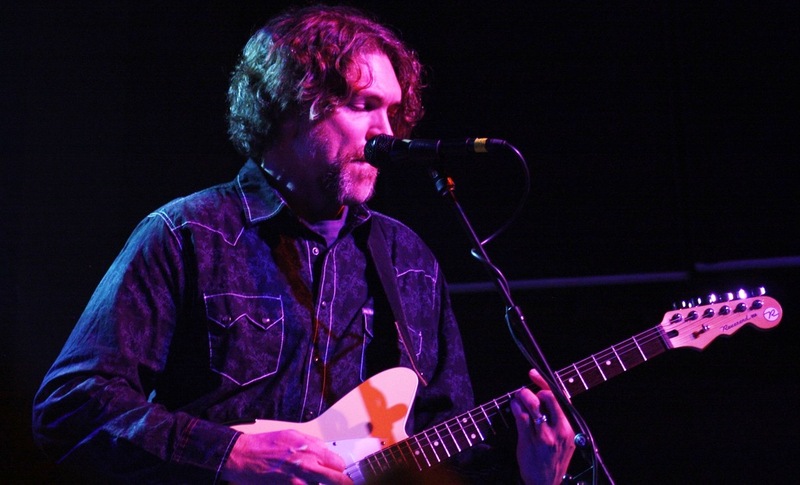 The band is coming off of a year of exciting gigs and festivals including a triumphant two nights at Red Rocks Amphitheatre and a return to fan favorite Hornings Hideout in North Plains, Oregon. Even more exciting is what’s to come for the band and its followers. Keith thanks for joining us this morning. KM: It’s good to be here, thanks for having me. 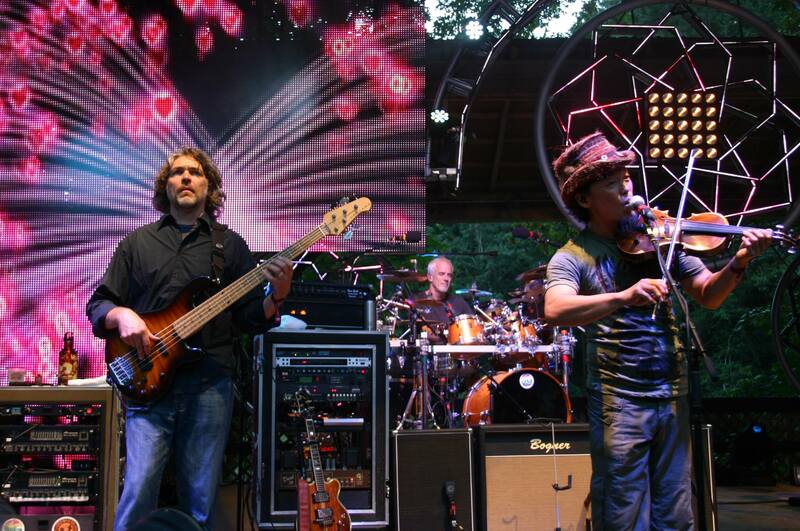 GW: String Cheese Incident’s sound is a blend of so many different styles and sensibilities. After 20 years together, does the balance come naturally? Is there the compromise to give everyone his input? KM: You know it’s pretty easy these days. We know every time we take a break and get back together what that will entail. For instance tomorrow we start our rehearsals for our New Years run. We’re looking forward to incorporating a bunch of special guests for that. I’m sure we’ll have a few new tune ideas; perhaps spend a little time working on the originals, some different fun covers. Tunes that would best highlight some of our guests. It’s great working with the guys. Everybody knows what everyone else brings. At this point, it’s exciting every time we get back together. GW: Absolutely it’s a special occasion every time you throw a gig. There’s something new going on each time. GW: One of the best qualities of Cheese is that you are constantly honoring your musical influences; often your guests are elder musicians who have directly influenced your style and growth. At this point, being well-seasoned veterans in the music and touring community, does the band reach out to get these guys to play or do they reach out to you? KM: It’s usually us reaching out, through our management of course. For the New Years Run coming up, we’ve got Del McCoury Band on the 31st, which is pretty much as good as it gets in traditional bluegrass these days. We have the Flaming Lips with us as well, and also Bootsy Collins. Like you said these are some pretty heavy hitters in all of their genres. It’s pretty typical for us to try to aim high and come up with some of the best guests that we can. Of course, well have collaborations with Karl Denson doing some horn work with us a couple of nights. We’re pretty fortunate to be in the position where we can aim high, as far as artists we get to collaborate with and work with. It’s really special. 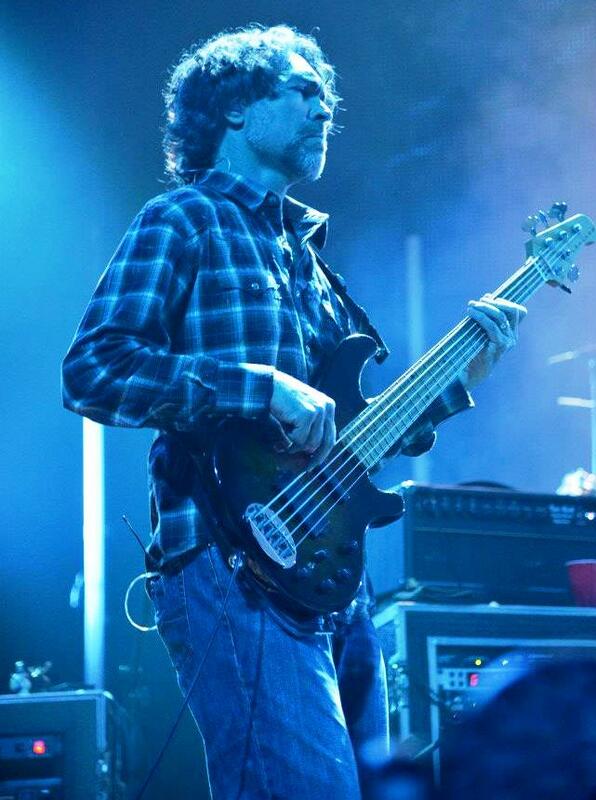 GW: This time around, in particular, you are celebrating twenty years of String Cheese Incident as a band. This New Years Eve run coming up is only the second in the history of the band, again at the 1st Bank Center. Had honoring the twenty-year milestone been in the making? KM: Yeah, it’s been on our radar for a while. And actually, the New Years Eve gig will mark our 20th anniversary pretty much exactly to the first gig back to New Years in Telluride ringing in 94’ back then. Yeah, after twenty years it's great to be in Colorado to celebrate it in front of our core home audience in Colorado that’s been with us all along. GW: As you mentioned before, the supporting acts are quite impressive. Bootsy Collins, funk legend, The Flaming Lips, then bluegrass titans Del McCoury Band for the ultimate show. It’s a lot of diversity night to night. Are these esteemed opening acts going to be sitting in during your sets? Can fans expect that? KM: I don’t know that for certain, I would hope so. We have some experience with the McCourys. I’m sure we’ll be able to get them to stick around. It would be great to have Wayne [Coyne] out from the Lips, and well plan on doing that if he’s able. And Bootsy Collins we’ve never crossed paths with before. We will put the invite out, and if he were up for it, we would have him of course. GW: You can only hope for the best. I guess we’ll have to see what happens. So you also mentioned Karl Denson and Chris Littlefield from Denson’s Tiny Universe sitting in. Do you guys have any ideas going into rehearsals what sort of material you’ll be performing? Are you going into it openly? KM: Tomorrow that will be one of the first topics, getting a list of potential tunes to have the horns on, both originals and possibly covers. It’s great to be able to work with a horn section and someone as competent as Karl. Can’t tell you yet what were doing but we’ll be getting some great tunes out there to feature those guys. GW: So if this super exciting 20th Anniversary run wasn’t enough, the band is upping the ante with a rare International Incident. It’s an incredible opportunity for the band and its fans. You guys will be hosting your guests at the all-inclusive Hard Rock Hotel in the Mexican Mayan Rivera for four nights of music and obviously much more. First off, how did this huge event materialize? KM: We’d been looking into getting back to having an International Incident. It had been quite a while. We’ve done quite a few in the past. Played in Costa Rica, In Akumal, Mexico, in Negril, Jamaica. Again it’s been many years since we’ve done this sort of thing. We were talking to management into gigging somewhere tropical in the wintertime, and finally, we pieced this together. We couldn’t be more excited to take a trip in February and get down there, play for the fans, get some good beach time in there. It’s long overdue; we’re really looking forward to it. 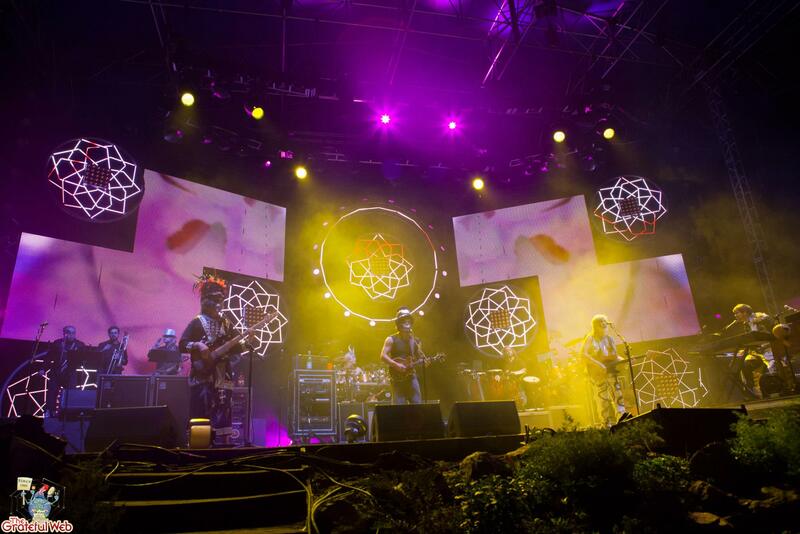 GW: And considering what the costs are for an all-inclusive vacation your basically offering the String Cheese Incident festival experience as part of that package. If you think about it, that’s a pretty awesome deal and set up. KM: Right. We think for the money you do get a lot in terms of your lodging accommodations, the music, getting to kick back and spend some time with the band. GW: The website says there are more artists to be announced for the International Incident. You guys have any idea who else you’re bringing along with you to Mexico? KM: Honestly I don’t at this point beyond what’s been announced. We’ll see what pans out, but right now I’m not sure. GW: Are you traveling with your entire extensive lighting rig and elaborate stage setup? How logistically challenging will that be? KM: It [the stage setup] will be slightly scaled down. It won’t be the full rig you’d see at New Year in Colorado for instance. It will be plenty of production to make the show feel like what we’re used to doing. That coupled with the incredible outdoor beach atmosphere will put it all over the top. It’s exciting to think about playing under the stars and the palm trees in the middle of February next to the Ocean. GW: The band’s charity organization Conscious Alliance is also involved with the International Incident. How in Conscious Alliance giving back this time around. KM: Just to clarify, Conscious Alliance is independent of String Cheese. We’ve certainly worked closely together for many years. They are a great organization that is primarily about feeding the hungry. We’re thrilled to have been working with them all these years. They will be on board doing food drives and fundraising. I haven’t personally spoken to them about this event, but I assume they will be aiming their efforts at some local organizations, teaming up with local food banks in the area that we’ll be playing. GW: Aside from the Incidents, the destination, and the resort, it sounds like the band is going to be pretty accessible to its guests/fans. What’s potentially in store? KM: We’ll there are some announced events. I’ll be doing a paddle-boarding excursion, as will Nershi. Michael Kang will be hosting a golf tournament. [Michael] Travis is going to be doing a snorkeling adventure. Jason Hann will be hosting a drum workshop. So lot’s of chances to hang out and sample some of the local culture and outdoor activities with some of the band members. Aside from that, I’m sure we’ll be hanging out poolside, eating and drinking with everybody else, in all the downtime between shows. It’s going to be a unique experience all the way around. GW: Yeah I got some friends who are thrilled to be going and what you guys have put together. Keep upping the ante every time. Speaking more broadly, there’s lots of new songs and material that you guys have been working into a rotation in the last couple of years. There’s been the talk of a new studio album. Any updates? KM: The album is finished. It’s in the can. We’re just working out some small details on the release. Some of the business details are pending, but we’re close. The album is finished, its fantastic, and we’re really proud of it. It will definitely be out sometime soon in 2014. GW: Thanks for the update Keith. We really appreciate your time and its been great catching up. Can’t wait to cover the New Years Eve run on behalf of Grateful Web. KM: Thank you. It’s gonna be really special. As more and more the details roll in, it’s going to be something not to be missed. If you’re an SCI fan, it’s going to be something not to miss.